Wayanad Wildlife Sanctuary is the second largest animal reserve in Kerala. The sanctuary has two sections – Muthanga and Tholpetty. Governance at the top may be the same, but they are generally viewed as two separate tourist spots. About a quarter of the land area of Wayanad is covered by forests. Some of them are evergreen dense forests, home to diverse animal and plant life. These forests are part of Nilgiri Biosphere, a large protected area of Southern India. 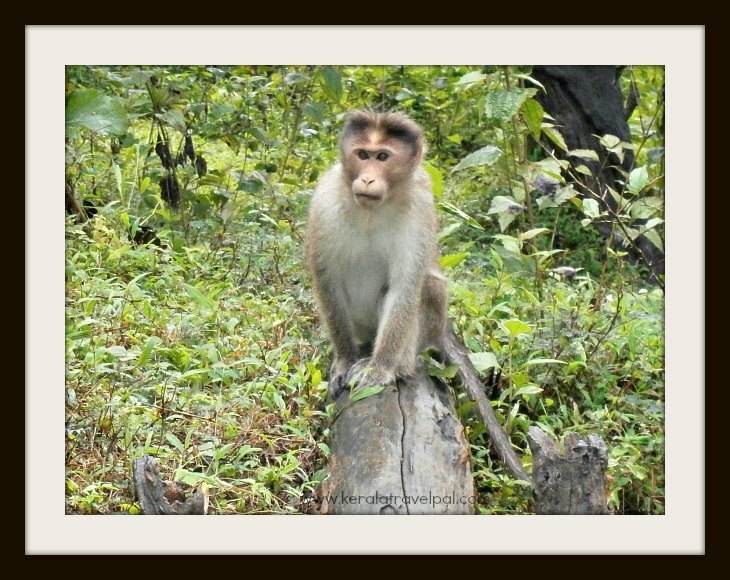 In Wayanad there is scope for great animal sightings. The question though is – is it going to happen for us? Both Muthanga and Tholpetty Sanctuaries have jeep safaris and jungle treks. The jeep safaris are through the forest and last for an hour or a bit more. Jeeps come with a driver and an armed guard. Before opting for one, read the reviews because visitor experiences are mixed. They sell 20 tickets in the morning (7-9 A.M). No advance booking. No agents as well. It means we have to reach there well before the ticket counter is open. If you want to see enough wildlife, have to be in the first few jeeps. Vehicle noises are quite disturbing and animals tend to shy away. There are tigers, only a few visitors happen to see them. Elephants are common, however if the time is not right, you may end up seeing a squirrel or a monkey. The jeeps are closed. Forget the joy of riding in an open top jeep, visibility itself is severely restricted. Brace yourselves for rocky rides. The roads are bad. The afternoon rides start at 3 PM. The chance to see animals is less during this time. It is better to be the last as there is more chance to sight wildlife that time. Wayanad Wildlife Sanctuary (Muthanga & Thotpetty) is closed for a few weeks during fire season. Check before making travel plans from March till end May. Animals are part of Wayanad travel experience, if you happen to take one of the interstate highways or the road to Thirunelli. Elephants, deer and bison are common sight. Elephant herds even take over the road. For that reason, night travel through these roads is discouraged. Muthanga Sanctuary is located 18 kms from Sulthan Bathery. 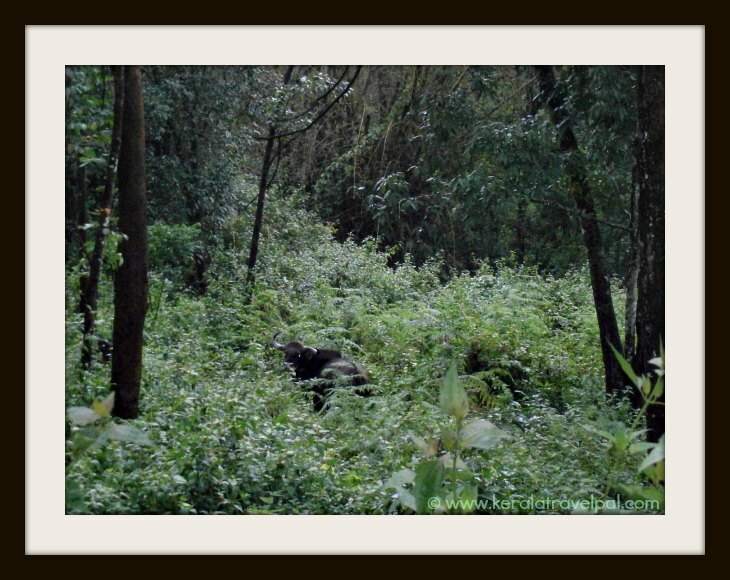 The evergreen forest of Muthanga is home to a large range of animals. Gaur, Sambar, Barking Deer, Cheetal, Hanuman Langur, Lion-Tailed Macaque, Slender Loris, Civet Cat, Sloth Bear, Bison are bear just some. There are also a few tigers, a good variety of birds, butterflies and reptiles. It is a Project Elephant Site. Muthanga has a large population of Elephants. Muthanga forest is connected to Bandipur National Park in Karnataka and Mudumalai Sanctuary in Tamilnadu. Kalpatta is at 42 kms and Manathavady at 59 kms from the sanctuary. Tholpetty Sanctuary is 20 km east of Mananthavady. Flora and fauna are much similar to that of Muthanga. Tholpetty also has a good number of elephants along with plenty of other wildlife. Visitors are allowed between 7 – 9 A.M and 3 -5 P.M.
Make sure to visit Thirunelli, the ancient temple. If you travel early morning, at 6 A.M, there is better chance to see elephants on or near the road. Pakshipathalam is considered as an adventure tour destination. Trek to Pakshipathalam is not every one’s cup of tea. Birds, reptiles and small animals live in the caves of Pakshipathalam. Pakshipathalam tour, though is not about sighting animals. The focus is on adventurous trek. The trek starts from Thirunelli temple. It needs permission from the Forest Department (Thirunelli Office) and they send an experienced guard to lead the way. To and from trek is about 16 kms and take up the whole day (9 AM – 5 PM). Another place is Kuruva Islands, one of the well liked tourist places in Wayanad. The cluster of Islands, in the middle of River Kabani, is also a bird hamlet. Kuruva is apt for family or fun tours, birds are just part of the overall sightseeing experience.